I’m honored to serve the college as the Director of the Academic Resource Commons, leading the staff of the program in supporting students in their growth as learners. I’m fascinated by the role that writing plays in the transformative experience of a liberal arts education, and I believe strongly in the power of writing to help individuals to access communities both within the academy and in the world beyond it. After an undergraduate course of study in Classics and Linguistics at the University of Wisconsin, I completed my PhD in Linguistics at the University of New Mexico. As a Linguist, I’m interested in the way that the structures of language emerge from simple, recurring processes, in the same manner as other naturally occurring complex systems. I love the way that language exemplifies the order that surrounds us in the world, and which can be made accessible through the scientific method. I became involved in writing center and academic support work while completing my doctoral study, and before coming to Bates served first as head of the Writing Center and then as Director of the Center for Academic Program Support at the University of New Mexico. My background in Linguistics and the cognitive sciences provides the lens through which I approach composition studies, writing center work, and learning support. I’m interested in how higher education writing programs can engage with issues of language rights, and in how our emerging understanding of how information is stored and processed in the mind can be brought to bear on helping students to get the most from their studies. Every writer has room for continued growth in the effectiveness of their communication; every educator can do more to use writing as a tool for learning. Along with the Writing Specialists, I’m here to serve as a resource for everyone on campus in engaging writing across the curriculum. Most of my career in education has been in the public sector teaching students and collaborating with educators in low-income and culturally diverse rural and urban communities in North Carolina, New York City, South Dakota and the Bay Area. These experiences made me keenly aware of my own privilege and interested in issues of race, class, gender and power, particularly in writing programs and composition pedagogy. My contemplative, social justice and feminist approach to writing instruction and administration is intimately linked to these lived experiences. In my teaching, I attempt to honor the voices and values of all students, encouraging and offering them opportunities to research and write about issues that affect them directly and in which they can use invitational or listening rhetoric to actively participate. I also enjoy bringing contemplative practices and mindfulness activities into classrooms as one way to help students become attentive to the embodied and affective aspects of any writing experience. I believe that writing spaces and compositional occasions can offer students opportunities for both cognitive and somatic understandings of the multiple perspectives that enliven, muddle, clarify and complicate today’s most pressing public issues. Taking a holistic approach to writing may better prepare students to intellectually navigate and physically participate in a highly interdependent, intersectional public sphere without shirking their responsibility to honor its differences or being overwhelmed by its demands on their attention. In my writing administration work, I seek to listen to and collaborate with faculty, to invite dialogue in the contact zone and to share the theoretical and pragmatic insights we have garnered over the years about writing and writing instruction. I invite you to engage with me in conversations about the practical side of writing: peer review, revision, scaffolding assignments, process engagement, topic selection, grading and feedback on student writing, and multimodal writing, writing technologies, and multimedia assignments and presentations. I welcome, too, discussions about the more sociocultural aspects of composition: grading contracts, meaningful, or consequential writing assessment (like portfolios), contemplative writing practices, action research, grader/reader bias, and the multiple Englishes, multiliteracies and rich linguistic expertise students bring to our classrooms. 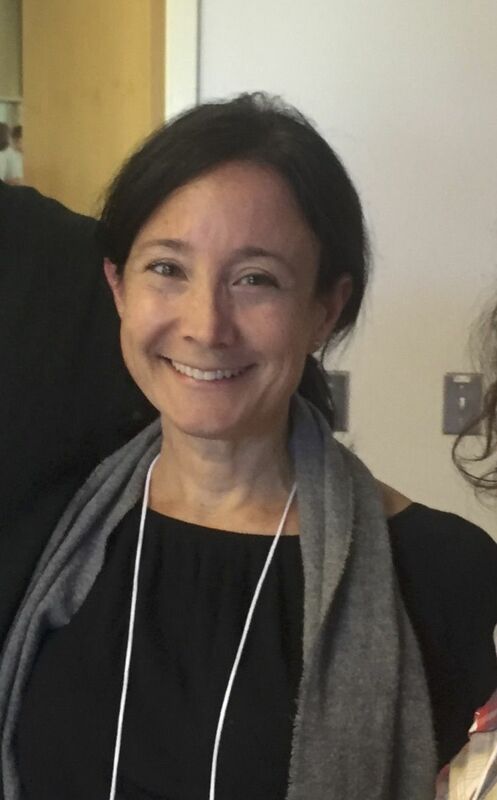 I am thrilled to be serving as the Assistant Director of Writing at Bates and to offer instructors and students my twenty-plus years of teaching experience and passion for ethical and inclusive civic, academic and professional writing and communication. I look forward to partnering with and learning from you! 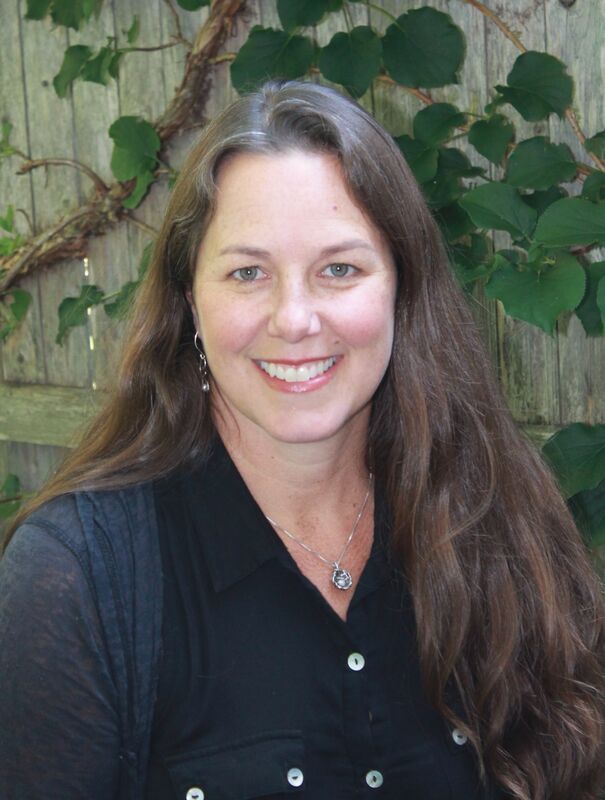 At the heart of my work is my commitment to helping writers and teachers see the choices available to them so they can make informed, ethical, evidence-based choices, and I am thrilled continue this work as Assistant Director of Writing- Natural Sciences and Interdisciplinary Studies at Bates College. Most recently, I served as Director of Writing at Unity College, which gave me many opportunities to work with individuals and groups on campus and beyond on literacy projects that included writing, public speaking, and ecology. In this capacity, I learned that small amounts of research from the field of composition studies allow faculty and students to accomplish more and to enjoy the sometimes arduous process of writing. From my time as an undergraduate at Wesleyan University through my graduate studies at City College and Stony Brook University, I have been interested in narrative and scientific forms of communication, which has lead me to ecological approaches to literacy: both/and approaches that are inherently interdisciplinary. Studying ecological approaches to literacy has taught me that diversity is essential to the ideological and material stability of communities. I honor this in my work by asking us to always pay attention to our neighbors and to listen closely to the many voices around us: voices that come from many disciplines and communities; that come in many languages and dialects; that come in words and images, sounds and gestures, stories and numbers; that carry traces of history and show us ways to more inclusive futures. My research on ecological community literacies was published in the Community Literacy Journal in October of 2015. Here at Bates, I am especially looking forward to working with faculty, students, staff, and community members on citizen science projects through which we can learn more about each other and our neighbors via science and storytelling. 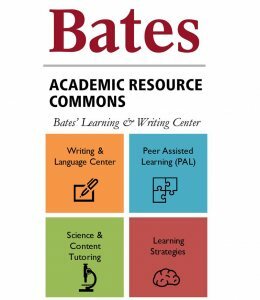 I enjoy my work within the college, building collaborative systems and developing partnerships to drive our efforts to support Bates students in their academic pursuits, and supporting ARC’s Peer Educators in their development as leaders. Between my own undergraduate degree and coming to Bates, I spent time as a cobbler, staff writer for a web design startup, dining room manager for a small brewpub, and nearly a decade working in the natural and organic foods industry, in a variety of team leadership capacities.